When scouring the market’s array of headphones and earphones, the mass majority of consumers will immediately form the opinion that more expensive is better. Sometimes, this is certainly true, but consumers may be surprised by the performance of a more affordable pair of headphones. 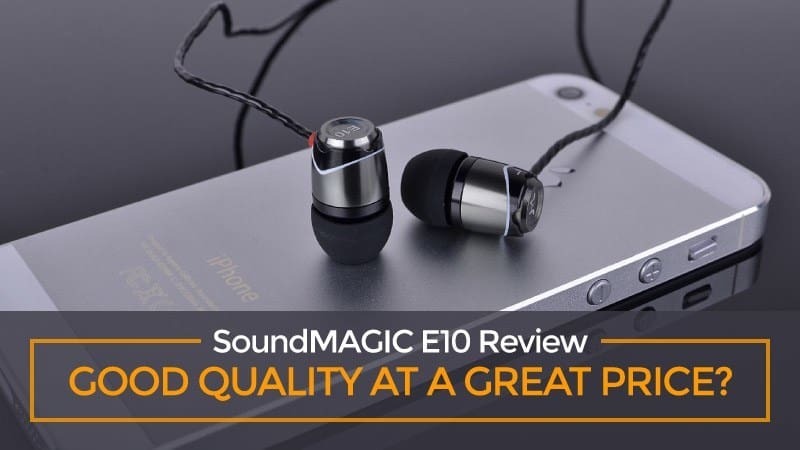 Those looking for the best price possible, but still sincerely care about their audio experience, will definitely want to take a look at the SoundMagic E10. These earphones are sleek, affordable and surprisingly have good durability. What makes them good? You’ll find out below in our Soundmagic E10 review. 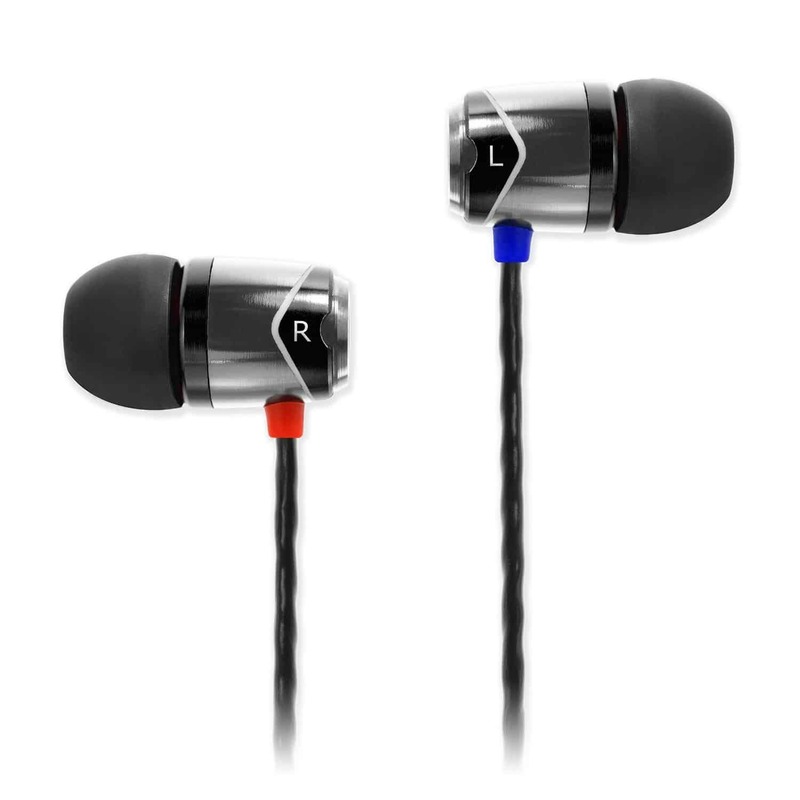 When opting for the SoundMagic E10 earphones, the consumers will have an abundance of options at their disposal. They’ll first need to choose between various colors. The available color schemes, including black and red, silver and black, and black and gold. Despite your preference, you can rest assured knowing each style will look great and won’t hinder your ability to strut your swagger. Many consumers in today’s society will want to opt for a pair of noise cancelling headphones. The feature has been highly touted and it is one of the newest to the market. This makes it somewhat of a hot ticket item. Although the SoundMagic E10 doesn’t have active noise cancellation, the earbuds are designed to prevent outside noise from hindering your audio performance. So, at the end of the day, you get the best audio experience possible, without spending excessively for an unneeded feature. The headphone’s noise isolation functionality works just as well and won’t cost you anymore than you wish to spend. One thing to consider is that your earbuds aren’t going to last forever. Or, you may feel that the current buds are simply too big or too small for your ears. In this type of scenario, you’ll want to perform a quick earbuds replacement, until you’re needs are met. The good news is that the SoundMagic E10 makes this as quick, effortless, and affordable as possible. This product comes with an array of beneficial accessories, including a cable clip and travel pouch. More importantly, the headphones also include a set of small, medium, and large silicon buds. This guarantees you can make the switch, without spending anything additionally. When it comes down to it, the most important aspect of all will be the headphone’s audio performance. If you’re unable to enjoy the experience, all the comfort and affordability in the world won’t make a difference. The good news is that the SoundMagic E10 earphones are equally impressive in all categories. The headphones might be affordable, but they extrude many of the same characteristics as a much more expensive pair of earphones. First and foremost, the frequency response is immense and range from 15 to 22,000 Hz. At the same time, the headphones offer a sensitivity rating of 100dB. They utilize the traditional 3.5mm stereo plug. The combination not only helps to enhance the overall flexibility of the earphones, but it also guarantees that they’ll deliver a satisfying performance no matter what genre you enjoy. One thing that can immediately diminish the quality of a pair of earphones is the cord. Without a lengthy, tangle-free cord, you’re going to become frustrated very easily. There is where the SoundMagic E10 truly excels. The earphones are equipped with a surprisingly long cord and you’ll never have to worry about it become tangled or getting in your way. At the same time, the 3.5mm plug guarantees the headphones will be compatible with almost every audio device you have in your home! Q: Is there a mute switch on the earphones what are the full controls on the earbuds? When it comes down to it, many consumers will absolutely adore the SoundMagic E10 headphones. This is no coincidence. The earphones deliver a lot of likable features, including affordability, style, value, and a good performance. Don’t be fooled by the price, the headphones are an excellent bargain and well worth the investment.